It was very windy, with “wintry showers” forecast, so we decided to go where there would be warmth and shelter, and headed for Sudley House, a small museum in south Liverpool whose grounds are used as a public park. 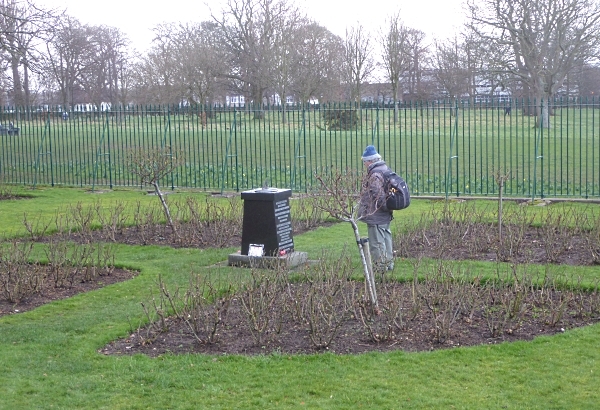 We got off the bus in Templemore Avenue, home of Liverpool’s “Thorn Collection” – several dozen rare Hawthorns and Medlars planted on the wide central reservation there. 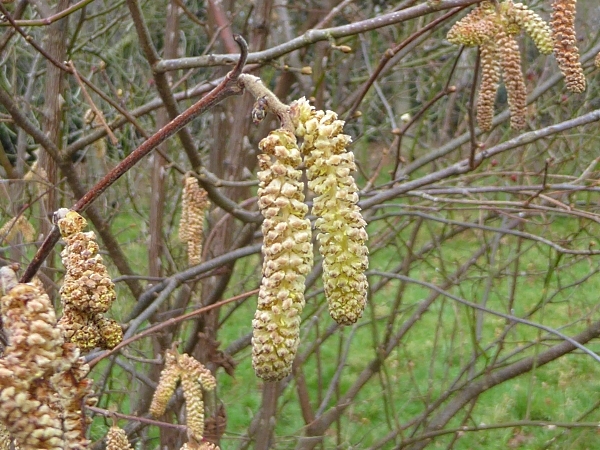 We didn’t stop to look at them, because there isn’t much to see at this time of year, merely noting in passing one unidentified rarity with pale bronze bark like some birches, but bearing many large red hawthorn-type fruits with one seed, some growing on short twigs springing low down out of the trunk. On Dromore Avenue a single crimson rose was blooming in a garden. Then we climbed up Holt Field, noting the bare Manna Ash trees next to Kylemore Avenue, and across Mossley Hill Road to Sudley House. 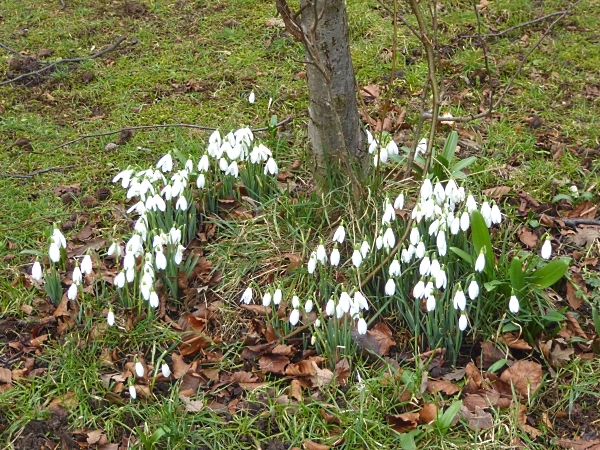 Some crocuses were out beneath the trees, and lots of snowdrops. On the east lawn they have a huge old Tulip Tree and a newly-planted Monkey Puzzle, about knee-height, protected by a circle of fencing. Two big old Beeches flank the path around to the back of the house and Daffodils were just opening on the south lawn. There were a few Redwings high in some tall trees and about half a dozen Common Gulls on the open field. 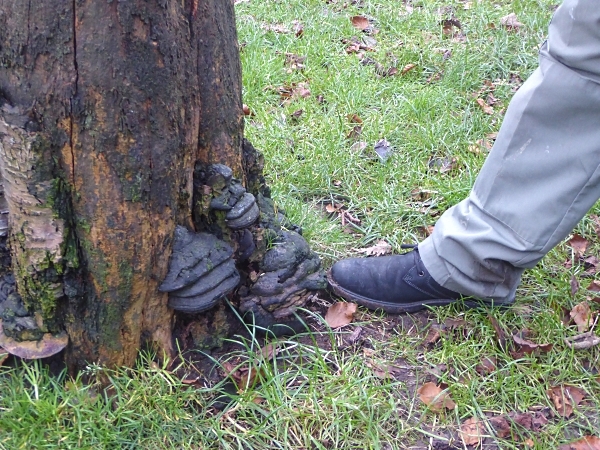 On the a stump of a felled tree was a large crop of Hoof Fungus. 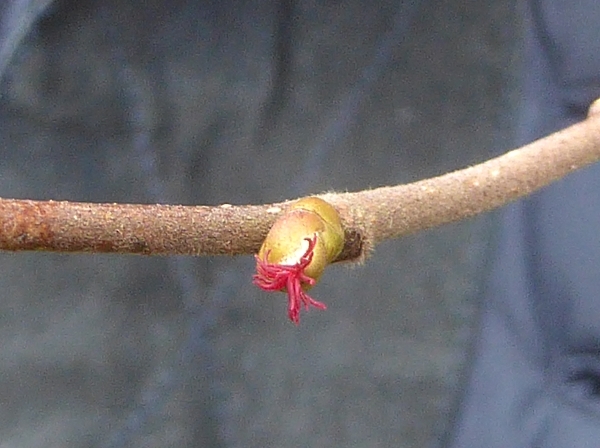 One small Hazel had put out a mass of catkins, and we hunted for the tiny female flowers, which are just like a bud about a quarter of an inch long, but with bright red stigmas protruding, to catch the wind-borne pollen from (hopefully) a different tree. Sudley has a new sign up about some tree planting in the grounds. In 2007 they planted eight English Oaks to celebrate Liverpool’s 800th anniversary. They also say they have a Crab Apple collection, a Hawthorn Collection and have begun to plant a WWI Centenary wood, although it is hard to tell what’s what in the winter. Olive also showed us a leaflet from the Woolton and Gateacre Labour Party, saying that the Mayoral Neighbourhood Fund had bought two new Oaks for Reynolds Park and also a rare Chinese Rubber Tree called Eucommia. We will have to look out for that next time we go! We lunched on the south facing terrace, overlooking the Hillsborough Memorial Rose Garden. 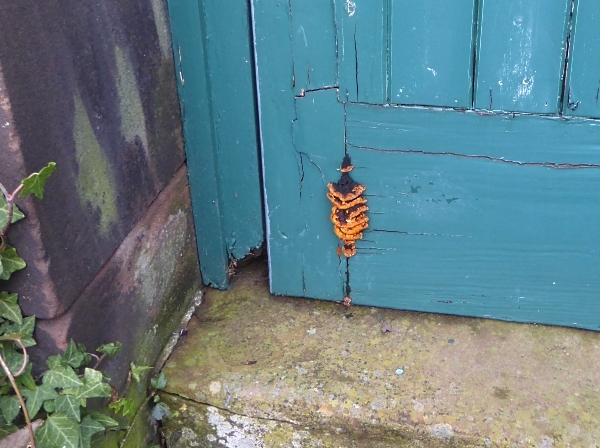 In a sheltered spot by the path to the old walled garden some garden Campanula was still in bloom, and an old wooden door was showing a different kind of bracket fungus, emerging from all the joints, bright orange and black against the blue paint. 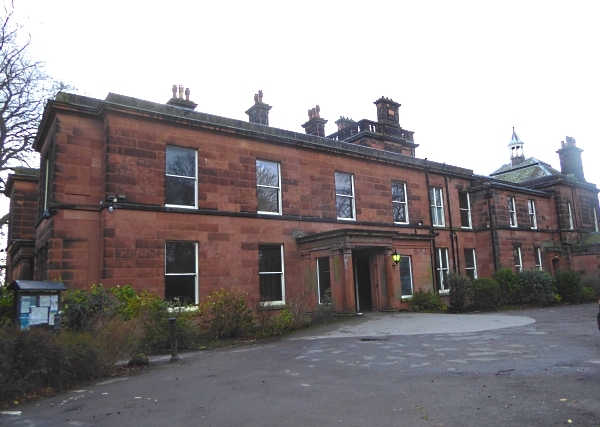 Sudley House was built in 1824, and bought in 1883 by George Holt, a partner in the Liverpool shipping firm Lamport and Holt. He extended the house and redecorated the rooms much as they are today. Like many wealthy merchants he collected paintings and displayed them around the house, and Sudley is now the only house of a Victorian merchant that still has its original paintings. They include work by Gainsborough, Reynolds, Landseer, Millais and Turner. After George died in 1896 his only child Emma continued to live there until she died in 1944. Both she and her father had been important local philanthropists, and Emma’s final act of generosity was to leave the house, the pictures and the grounds to the people of Liverpool, on condition that the house was to be preserved with the paintings in situ and the grounds were to be a public park. 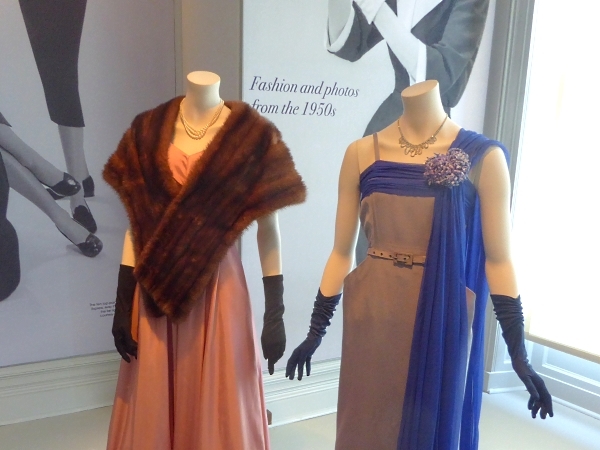 It is now managed by National Museums Liverpool and specialises in exhibitions of 20th century ball gowns and evening wear, left to the Museums by wealthy society ladies. All very well if you are interested in posh frocks, but we went animal-spotting. 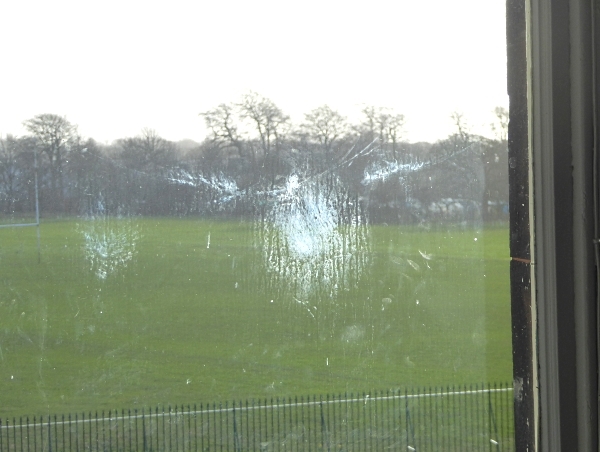 Our first find was this fresh bird imprint on one of the windows. I think there’s a older one to its left. They were probably Wood Pigeons, and since there were no dead birds on the lean-to roof below, they probably survived the collision. We noticed a huge letter-opener made of ivory in Emma Holt’s study, something that’s not allowed nowadays! We also studied this Mink stole and calculated it might have been made from about 50 dead minks. 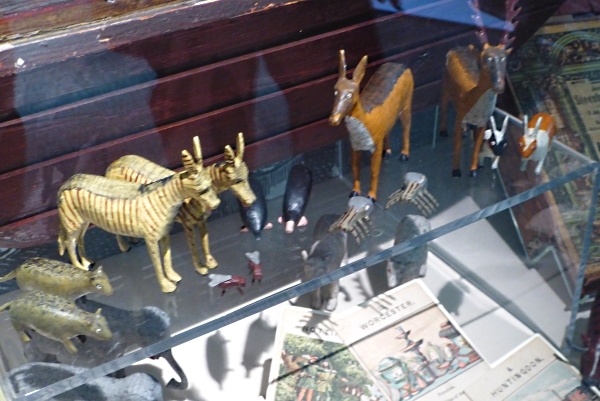 They also had some lovely old children’s toys, including this fantastic carved wooden Noah’s Ark. It was made in Germany in about 1860-1870 and the sign commented, “A Noah’s Ark was one of the few toys thought suitable for children to play with on a Sunday because it related to a story from the Bible.” The inclusion of moles, flies and spiders is imaginative, but the carver had probably never seen any real Zebras, because these look like painted-up Mules with those huge ears! At the bus stop on Rose Lane we noticed a big old Privet bush laden with black berries. Public transport details: Bus 80A from Great Charlotte Street at 10.14, arriving Templemore Avenue / Rose Lane at 10.37. Returned on the 80A bus from Rose Lane / Mossley Hill station at 2.52, arriving Liverpool at 3.20.